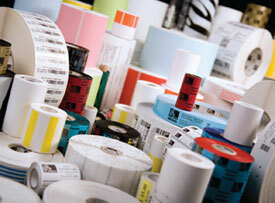 Finding quality supplies for your business, no matter what industry you are in, can be a daunting challenge. So many different outlets exist for every kind of business supply you could need, knowing which places to trust can seem nearly impossible. Luckily for you, Tri-State Business Systems, a leading pharmaceutical labels manufacturer, is here ready and willing to help you out with any and every barcode need your business could ever have. Whether it’s finding a mobile barcode printing solution, printing cleanroom labels, or finding a quality barcode scanner, Tri-State Business Systems is here to help. Our team here at Tri-State Business Solutions has more than 20 years of experience delivering quality barcode suppliesto Fortune 1000 and 500 companies across Pennsylvania, New York, New Jersey, and all of America. When you order from us, you can count on your business getting the personal attention, stellar service, and quality products you need in order to keep your business running smooth. We’re also a certified Zebra reseller, taking pride in offering the Zebra Labels line of products which are the best on the market. Whether you’re looking for supplies for a pharmaceutical labels manufacturer, cleanroom labels, retail businesses, or inventory warehouses, it’s a safe bet to order from Tri-State Business Solutions, a company who will never let you down. Contact us today for a free quote!